Join now and get 10,000 free coins and plenty of bonuses in the game. Visit Slotomania Join and get 10,000 Free Coins! Slot machine gaming is without a doubt among the more popular casino games in the world today. 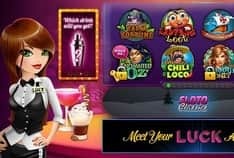 If you would like to experience the thrill or playing slots on the go, then Slotomania should be at the top of your list. 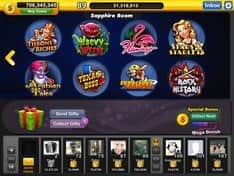 And again, if you have a couple of Facebook friends who love wagering on slot machine games, then you must have already had a glimpse of the social gaming giant, Slotomania. It was launched back in 2010 by Playtika and later acquired by Caesars Interactive Entertainment. Try it once on Facebook and you will see why this social gaming site has garnered millions of loyal, satisfied players. The app brings you a vast range of fun and entertaining slot games similar to ones found at regular online bookies and at more traditional land based casinos. Since it has a social gaming app for all major mobile platforms, you can easily jump into action however you like. Find out more about this action-packed application in this exclusive Slotomania review. 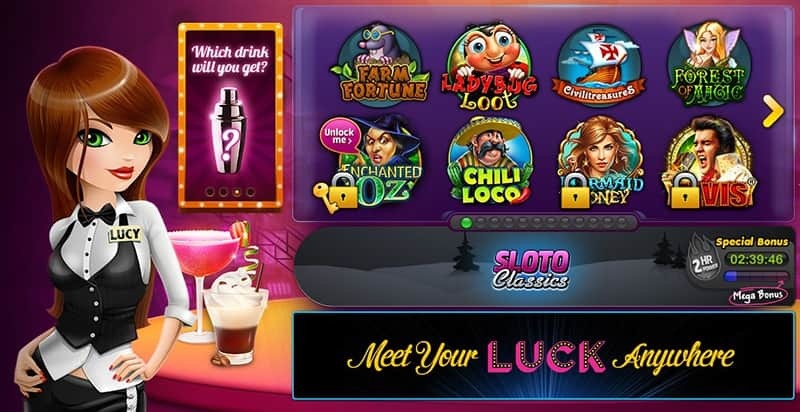 One of the main aspects that has led to the acclamation of this social gaming app is that the developers did an excellent job at recreating the exact experience of playing the slots. It has some superbly intense and flashy visuals that will keep you glued to the game for hours. From the moment you log in, you will be showered with coins, piggy banks, experience bars, reward points and even jackpots. It might seem a little overwhelming but interesting enough, as you will discover in this Slotomania online review, it one of the easiest social gaming apps out there. Right from the start, this social gaming application was developed for gamers who want the freedom to play anywhere they want at any time. The Slotomania mobile application is available in virtually all major mobile platforms. Starting from Android, iOS, Windows and even Amazon. This means that you can use iPads, Surface Pros, Fire Tablets, Windows Phones and Android Phones such as HTC, Samsung Galaxy, Sony, LG and any other mobile device that supports any of the above platforms. When it comes to the device that you can use to play, understand from this Slotomania mobile review that you have the flexibility of choice. The only mobile platform that the Slotomania social gaming app does not cater to is the Blackberry OS, which is quite understandable because it has been losing popularity over the years. Once you sign up for an account, you are awarded a whopping 10,000 coins with which you can unlock your first slot machine in the game: Farm Fortune. If you feel stuck, there is a tutorial that can show you your way around the app. Just to make things clear in this Slotomania online review, one of the first and most fundamental things that you should know about this game is that you will not actually be betting real cash. That is precisely why this game is categorized as a social casino instead of a full-on gambling site. Slotomania comes with more than 140 cool and thrilling slot machines that you can choose from and they have lots of exciting levels and stages to keep you entertained. More than 100 different games are unlockable on the system's main lobby and another set of 40 games can be found in the Sloto Classics tab. You will start with only a single unlocked game and some free coins. After spending a few minutes, you will be able to open more as you gain more experience, more points and even more rewards. As you keep enjoying yourself in this social gaming app, you may end up running out of coins to play with. With the first signup reward that you are offered, you may assume that you will never need any extra coins especially after you land on an early winning streak. However, as you progress in the levels of the game, you will need to spend a lot more coins so that your progress is fast and consistent. That's where spending real cash will come in. 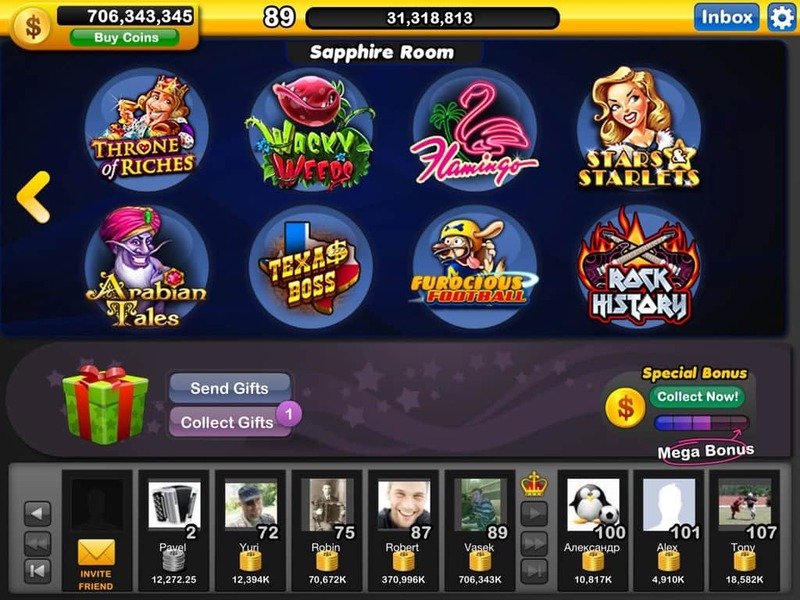 To get more coins, there is a micro-transaction system that is usually embedded within these type of social gaming apps. At any given time, if you feel like you need more wagering coins, you can buy them by using the account for purchasing other apps on your device. For example, spending $2 worth of in-app purchases will earn you 11,250 coins while for $50, you will be able to buy as many as 405,000 coins. Boosters in the game for quicker progress through the levels are also going to cost you real money if you want to use them. During our Slotomania mobile review, we noted that some very basic mini-games are included in the app in a bid to make it more of a video game. Unfortunately, some of them are rather boring and the explanation given on how to play them is not sufficient. In addition, some of these games aren't as rich in story and plot as others. If you don't spend real cash in the game, leveling up could take time. As much as there is a variety of themed games with different stories and characters, you keep doing the same actions repeatedly. This may feel a bit monotonous to some. Right from the beginning of the Slotomania social gaming app, you are given rewards that help you to keep playing. As already indicated in this Slotomania review, you are granted 10,000 coins to start with. If you are looking for a fun way to spend your time and maybe even a couple of bucks here and there, then the Slotomania social app is what you should go for. It brings a remarkable balance that gives you an exciting free-play experience and at the same time, gives you a chance to spend a few dollars in purchasing extra chips and extra perks. However, you should remember that no matter how much fun you are having, you should restrain yourself from spending too much real money because it could end up being addictive. In fact, if you are smart about how you play, you might not even have to spend a dime and you will still get to indulge in the thrill of slot machine gaming, just like you would at a real money online casino.